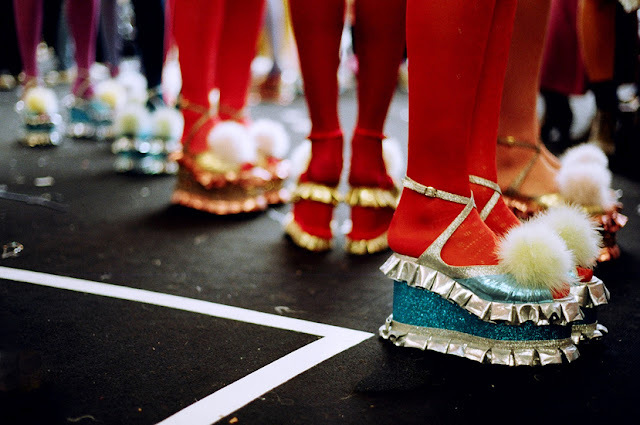 Meadham Kirchhoff keeps to bring us the surprise. feeding us with lots of candy-like fashion pieces in SS12, too Harajuku. and I especially like the pair of maxi-wedges, with sequin ruffles. I would like to pair this with black bow-suspenders pattern tights.